Portrait of Leah Lavoneh captured with two FlashBenders, one with a diffusion panel. Photo by Derrick Story. One of the interesting new features in the master kit is a diffusion panel for the large FlashBender. The clever design attaches to the front of the FlashBender via robust hook and loop material. The flash head positioned between the two pieces, like a sandwich. I used this for the main light, with the small reflector as the fill. Two-light set up for the above portrait using the large FlashBender with diffusion panel as the main light. In addition to the three different sized FlashBenders and the grid modifier in the kit, Rogue also includes two sets of gels. These have both creative and corrective applications. I particularly liked the gel set for the grid that allowed me to throw a splash of color on a background or even used as an interesting hair light. 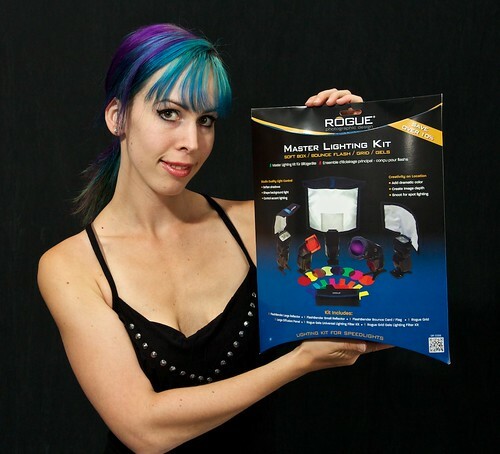 The Rogue Master Lighting Kit takes up little space, but provides you with a complete flash modification set-up. I noticed that the FlashBenders themselves have improved fasteners and updated design. I had no problem securing them to any of my flashes, and I have quite a variety of strobes in the studio. If you're looking for an affordable light modifier set-up to handle a variety of needs, especially when traveling light, consider the Rogue Master Lighting Kit that sells for $199. There are plenty of goodies in there to spur your lighting creativity. 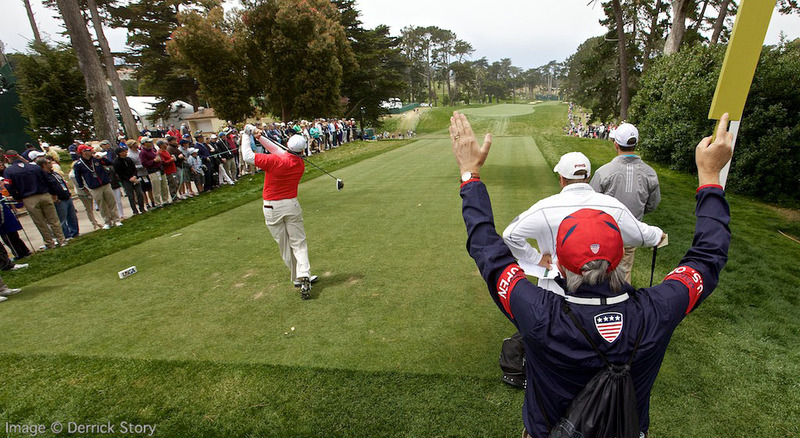 I'm enjoying watching 42-year-old Jim Furyk battle a predominately younger field at the U.S. Open golf championship in progress at the Olympic Club in San Francisco, CA. I watched him at work in person during the Wednesday round, and he was striking the ball well. Jim Furyk working on his short game at the Olympic Club on Wednesday. After 8 holes on Saturday, Furyk is atop the leader board. We'll see what happens as the weekend plays out. The 2012 U.S. Open Golf Championship is underway at the Olympic Club in San Francisco, CA. The combination of historic site plus world class golfers equals an enjoyable day on the green. "Tee Shot" I held a 5D Mark II over my head with the 16-35mm zoom set to 16mm to capture this bird's eye view. For more photos, visit the TDS Flickr Gallery. In San Francisco, it often pays to get up early for photography. 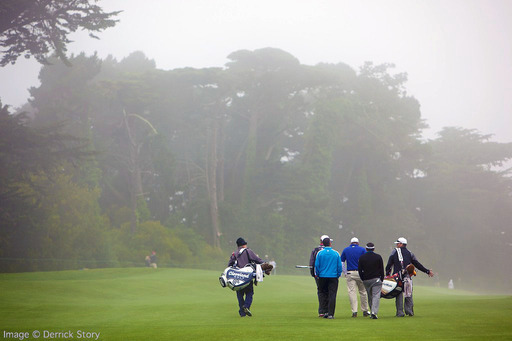 On this morning, the mist was still in the air at the Olympic Club creating a mood that evaporated by late morning. I used the 70-200mm f/2.8 Canon zoom to capture these players enjoying a conversation on the way to the green. Tournament play begins today. 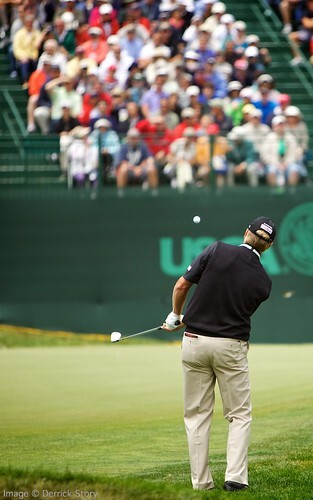 You can find out more about the U.S. Open here. It's going to be an exciting four days. In addition to the 7 boards I've already populated on my just-launched Pinterest page, I've viewed hundreds by others who have posted on a variety of topics - my personal favorite, of course, is photography. Here are three of my boards on Pinterest. Pinterest is one of those online pastimes that you can enjoy without obligation. When you want fresh ideas for just about any project, browse and see what others are sharing. There's also a decent iPhone app that's easy to use. 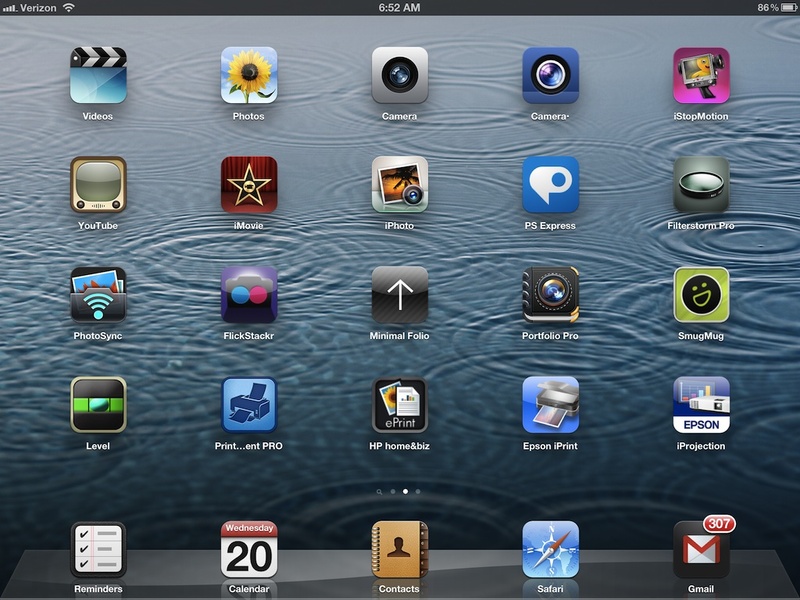 Unfortunately, nothing really compelling for the iPad yet. As for my page, I'm going to focus on photography tips and "how to." That's what I find interesting. Aperture 3.3 provides much for us to talk about, and I'm going to start today with its improved rendering speed during import. Apple calls this "Fast Browsing." Noting the "Fast Browsing" preference in the Import tab (Camera Previews). It should be activated by default. But you might want to double-check it just to make sure. In the past, one of the annoyances for Raw shooters was the delay in building preview images during the import of files from a memory card. Now with Fast Browsing, Aperture takes better advantage of the Jpeg images embedded in those Raws. It shows you that image first, then will replace it with an Aperture preview (built to your specifications in the preferences menu) once the import has completed. I tested this feature on a 2010 MacBook Air using Raw files from an Olympus OM-D. As promised, large preview images were available right away during the importing process. And they looked good. I turned on Quick Preview to further speed things up while I worked. 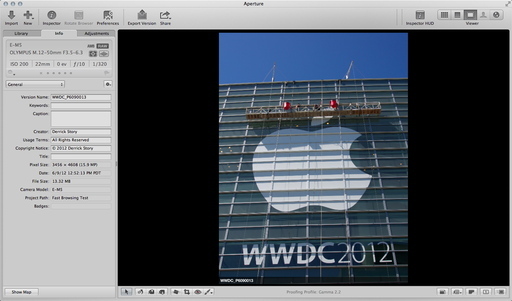 Aperture's generated preview that replaced the embedded Jpeg. Even better than the embedded file. Then I waited to see if I could detect Aperture replacing the embedded Jpeg with its own preview. And sure enough, a few seconds later it did. The color was a bit richer in the new preview, and it was a tad crisper too. 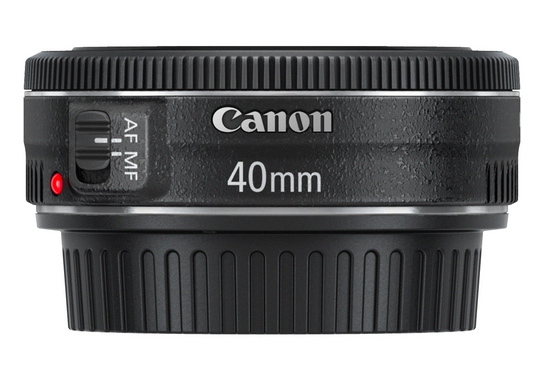 But gone are the days of the pixelated image that finally snaps into focus. You can certainly start rating and sorting your images during the import process now. 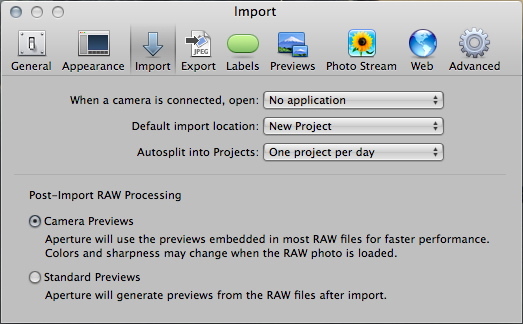 My guess is that the quality of the initial preview will vary depending on what your camera embeds in the Raw file. I still recommend turing Quick Preview on, because it seems to speed up the browsing process even further.